For us, this has been a year of experiencing and hiking several mind-blowing canyons. 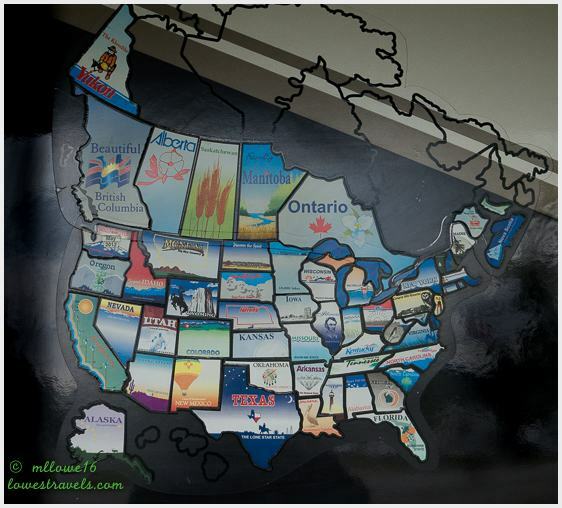 Take for example our train trip to colorful Verde Canyon in Arizona, to the canyon of all canyons – the Grand Canyon in Arizona – and our drive to Hells Canyon on the Oregon/Idaho border, to name a few. 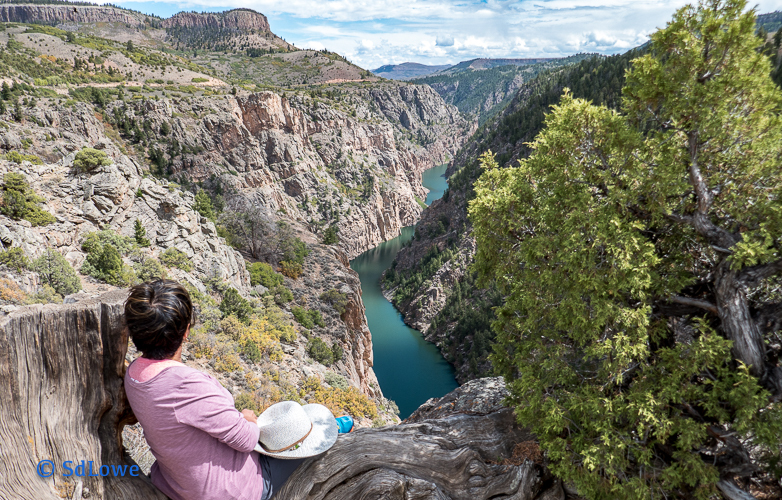 These gorges or canyons slowly carved by rivers for millions of years gave us breathtaking views and inspired us to ponder their majestic beauty. 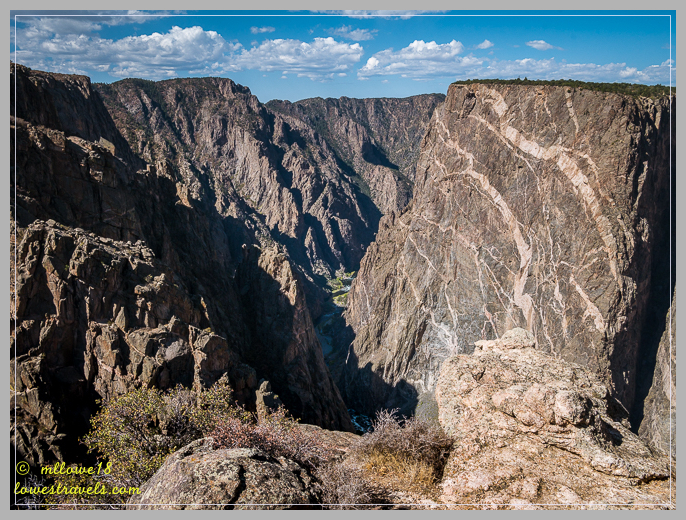 Now here we were at the dramatic and dizzying depths of the Black Canyon of the Gunnison in Colorado. 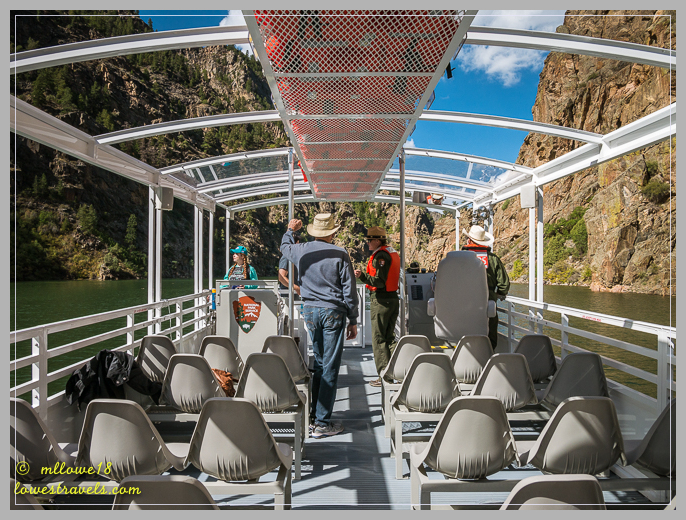 Not only did we peer into the gorge at the Gunnison River from several spots, but we also hiked down to the beautiful water for a boat tour. Our dear friend Sue told us about this NPS boat tour several months ago when we mentioned our plans to visit the area. My hubby the activity planner jumped on it immediately and reserved two seats for us on the Morrow Point boat tour. After following 232 steps down to the river and a 3/4 mile long path along the water we were at the dock. The tour is run by the National Park Service, and a park ranger was on board to relate fascinating details about the history, geology and ecology of the area. 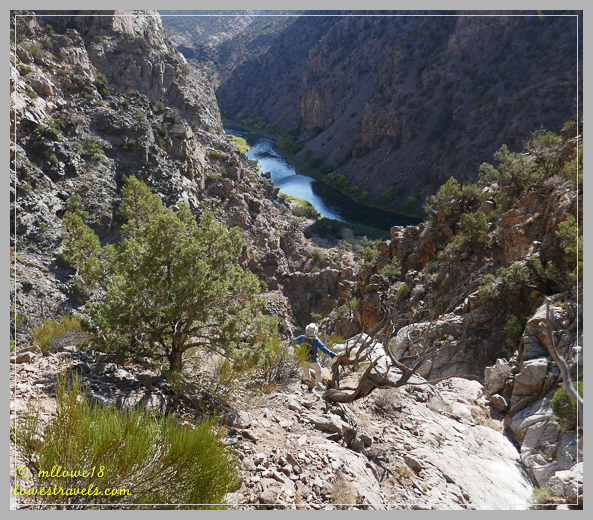 The 1.5 hour tour had us gliding along the upper reaches of Morrow Point Reservoir, the beginning of Black Canyon National Park. We were slightly disappointed that the trip didn’t go further into the park’s deeper canyons, but we later learned that the water isn’t passable for boats there. It was still a relaxing and educational tour that we were glad we took. It was just us and another couple on the first tour of the day – nice! 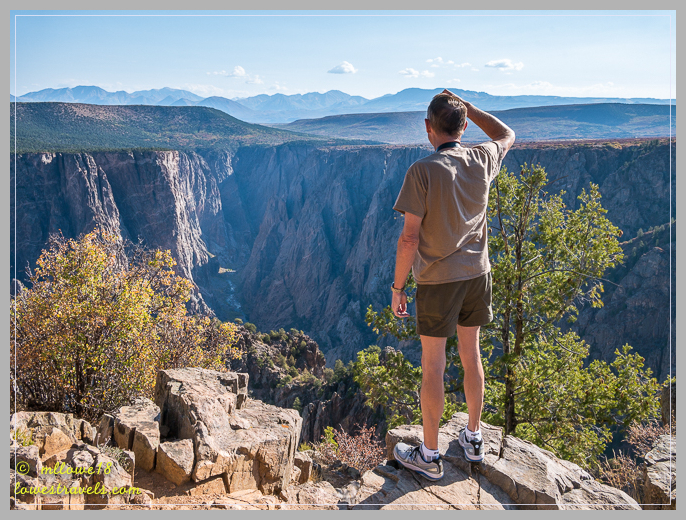 That overlook is way up there on the north rim of the canyon – we should go there! After the tour we hiked out of the canyon and drove to that overlook where we gazed down to watch the final boat tour of the day go by. 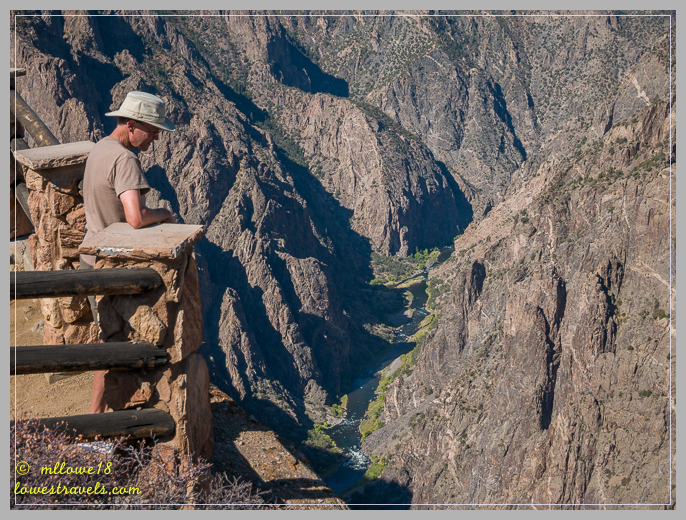 On another day we visited the top of the canyon at the south rim of the park, which is within the deepest 12 miles of the protected Black Canyon of the Gunnison. The canyon begins upstream in the Curecanti National Recreation Area where we boarded the boat, and continues downstream into Gunnison Gorge National Conservation Area. The South Rim Drive is seven miles long, and we stopped and walked to every overlook. 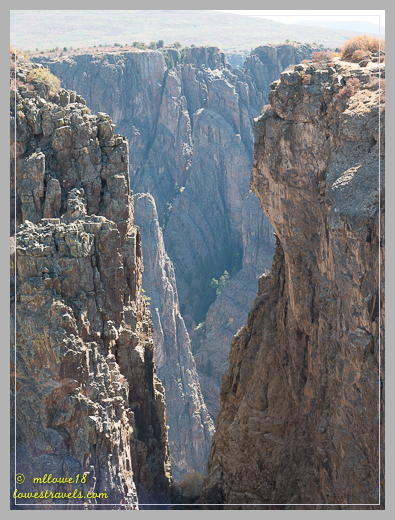 It was a little scary looking straight down into chasms with narrow openings and across to the north rim with sheer cliff walls rising 1,800′ to 2,250′. Getting to the overlooks required a short walk at each one. When we added them up with the nature walk at the end of the road we had accumulated almost 4 miles! 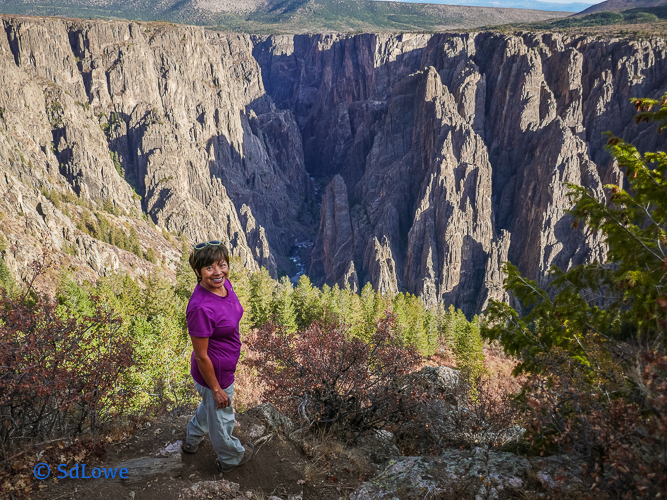 We can see why it’s called the Black Canyon, not only because of the black cliffs but because it’s so deep and narrow that little sunlight penetrates all the way down. Often shrouded in shadow, the rocky walls appear to be almost black. 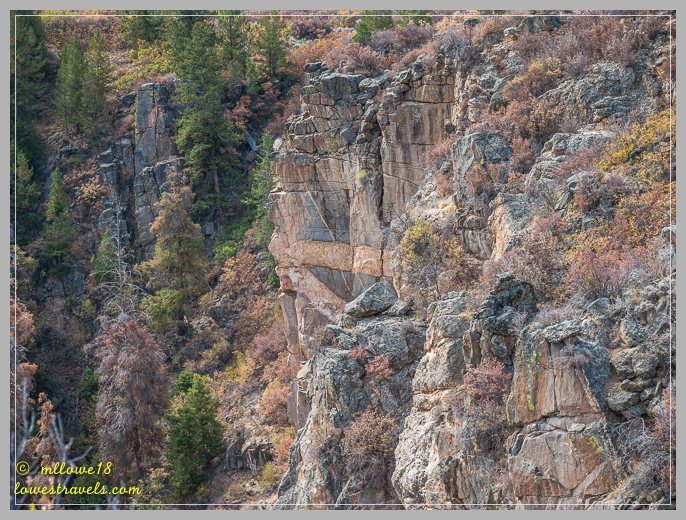 What made this canyon distinctive from the others we’ve visited is its amazing sheer walls; we stood on cliff edges and peered down over 2,000′. 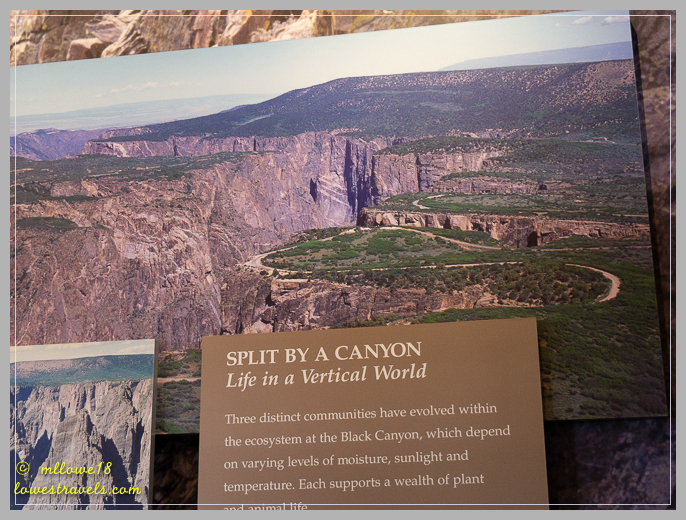 From the overlooks we experienced its depth, 2,500′ at the Painted Wall, 40′ wide at The Narrows and 1,100′ wide between North and South Rim at the Chasm View. This is mind-blowing vertical landscape! The One World Trade Center building (1,776′ tall) could sit in the Painted Wall area with almost 500′ to spare! 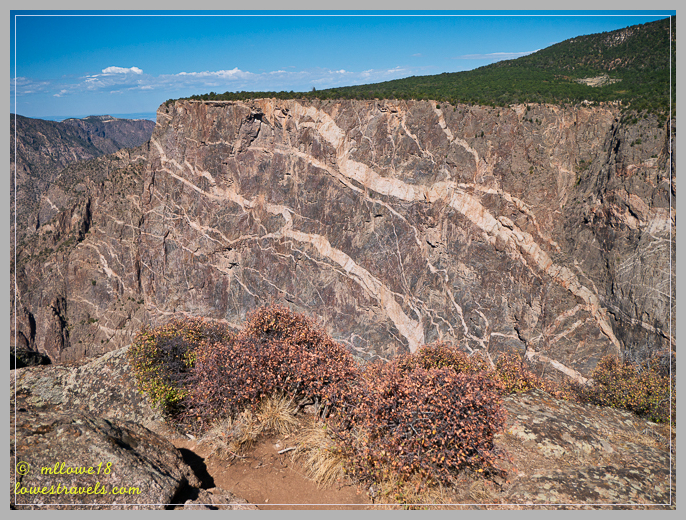 Veins of pink pegmatite run horizontally through the canyon walls, which is very distinct in areas like the Painted Wall below and above photo. 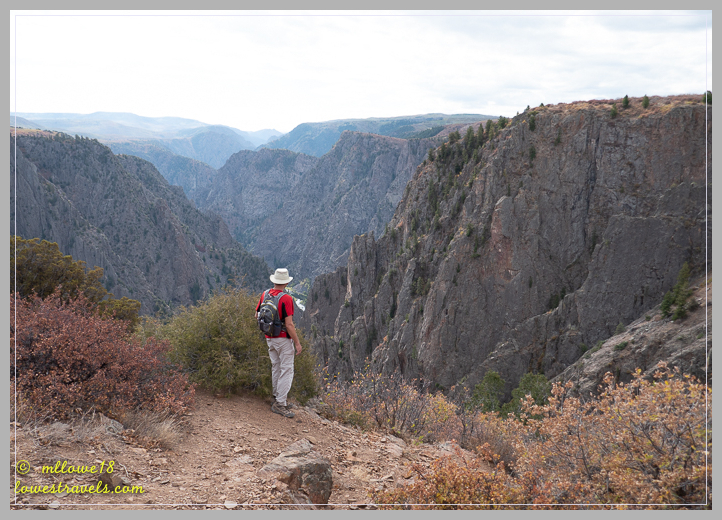 We found a trail that we thought would lead us into the heart of the Gunnison Gorge and down to the river itself. 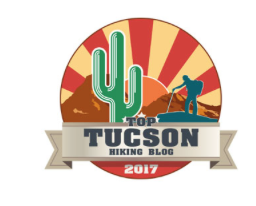 Driving to the trailhead moved us from a lush valley in Montrose onto flat-topped desert mesas and dry high-desert terrain that we had viewed from the Warner Point Overlook in the park. 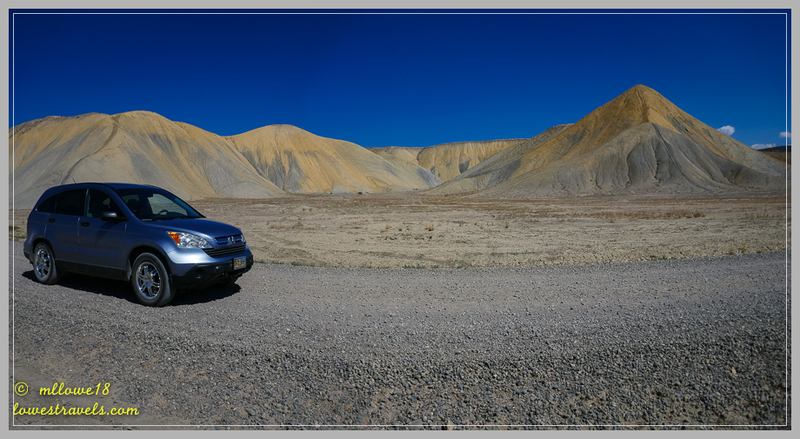 Our little car wasn’t up to the rocky road that Steve saw ahead, so we walked across open desert the last 1.5 miles to the trailhead. 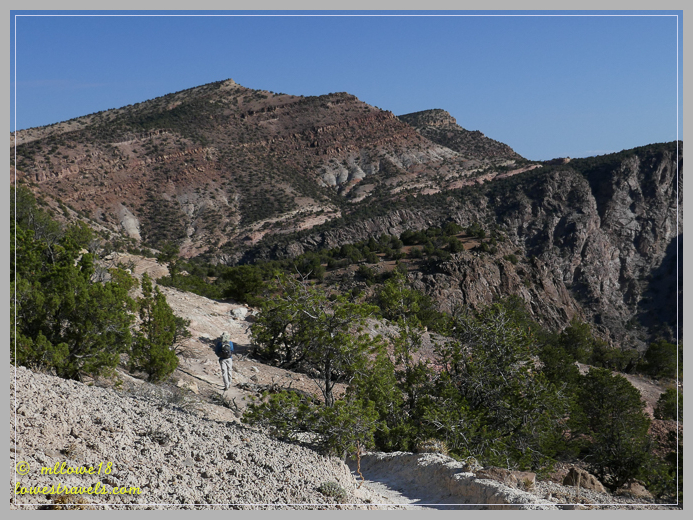 Duncan Trail was easy going with expansive views at first, then we trudged down switchbacks and around twisting juniper trees, scrub brush and prickly cactus as we descended into the canyon. Steve ponders, should I continue down? Will I be able to get back up? About a quarter mile from the river things got tough, with loose gravel on very steep hills and no real path in sight. We decided to turn back, but not before having our snack while enjoying the view into the gorge. The Duncan Trail was rated difficult, and we’ve always turned around when the trek ceases to be fun. But it was still a great hike that got the legs burning! The long walk back to the car. 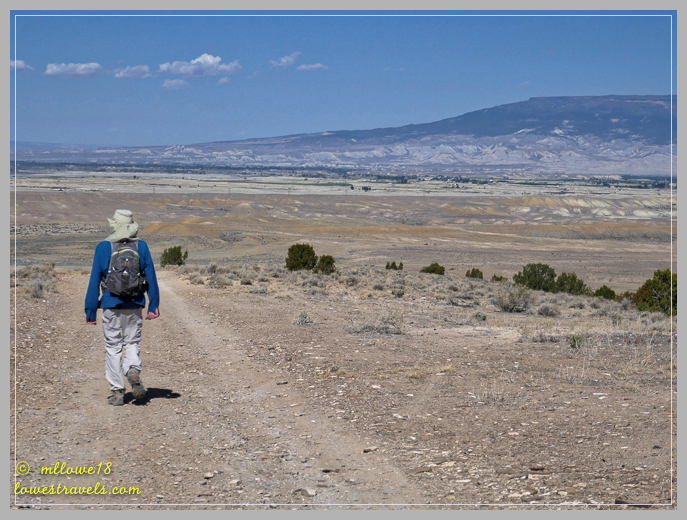 In the distance is Grand Mesa – our next adventure! We went back into the National Park and combined their 3 hiking trails – Uplands, Rim Rock and Oak Flats Loop – which added up to about 4 miles. We went 400′ down into the canyon through Aspen and Douglas Fir, then back up to the rim where we enjoyed wonderful morning views of the canyon. 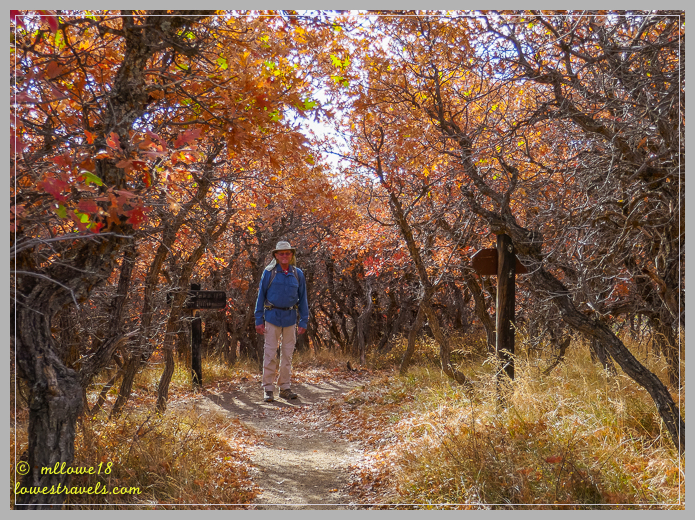 Fall was in the air as the Scrub Oaks and Gambel Oaks had already turned our trail red-orange. This was what we’d been waiting for! Don’t the slanted rocks look like the tubular ice in the Superman movie? 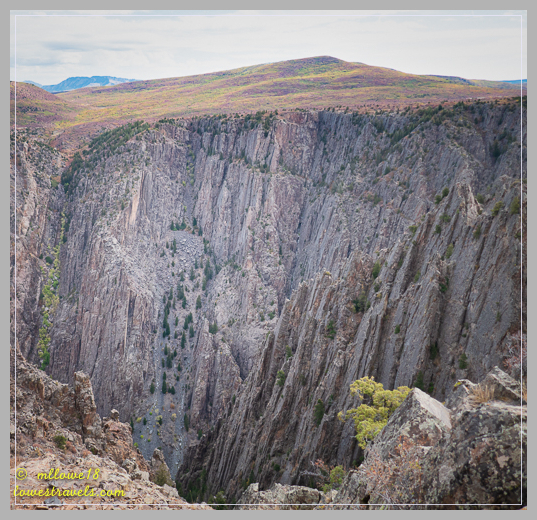 We had an incredible experience of angles and views from top to bottom at the spectacular Black Canyon of the Gunnison National Park. 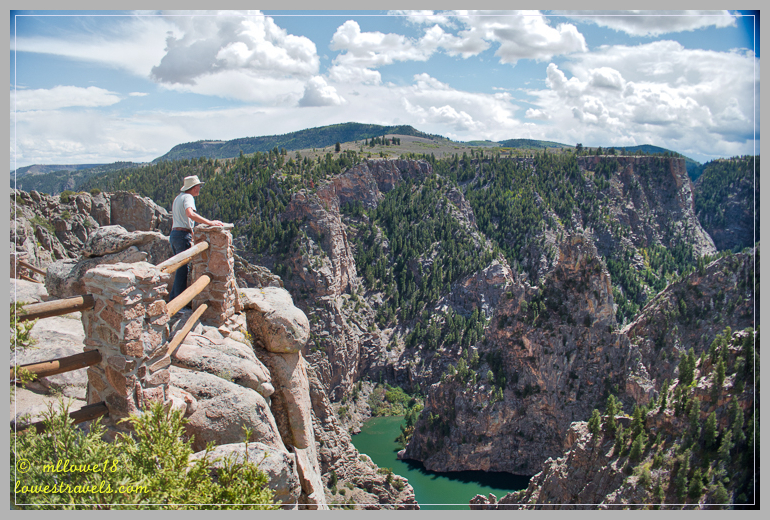 If you haven’t made it there yet, the home of Colorado’s tallest cliff is waiting for your visit! Beautiful photos of an amazing NP MonaLiza. We enjoyed our visit there as well. 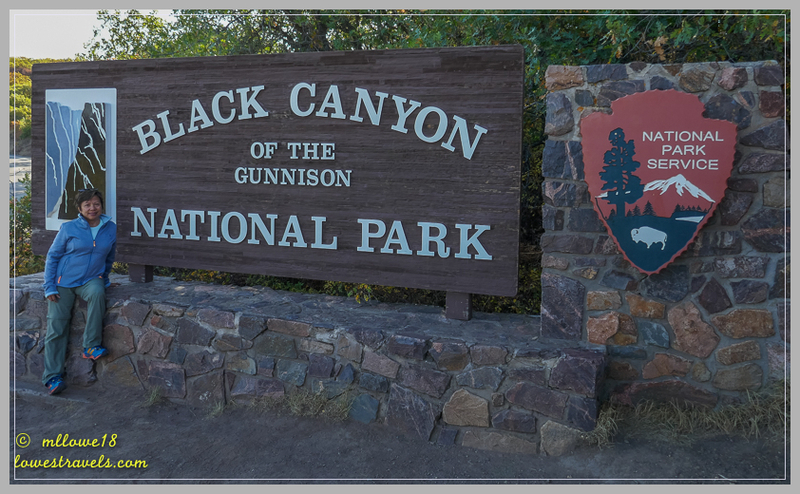 Black Canyon of the Gunnison was one of our favorite places. I found it very difficult to take good pictures there but yours are fantastic. They really show how gorgeous and colorful it is. I think we were there for 10 days or 2 weeks and hiked every trail in the park and could have done many of them twice. You were really there at a perfect time. Well planned. 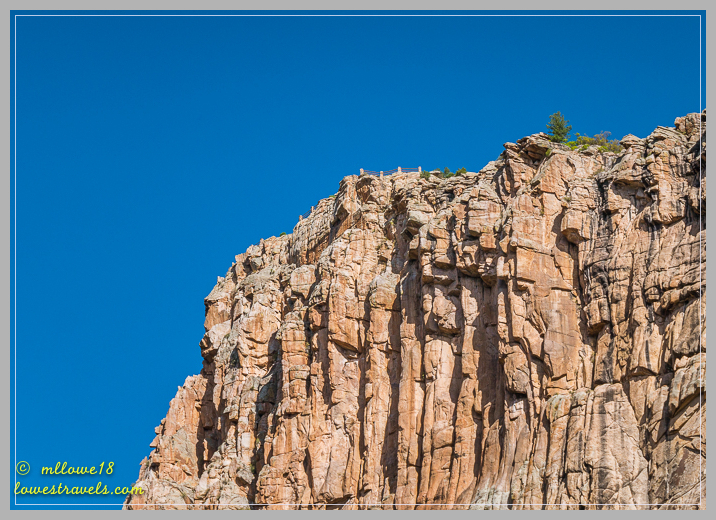 Thank you Sherry, being there early made the difference when taking photos of the Black Canyon. Agree we were there when it has cooled off and the trails were less crowded. When we visited this summer, we stayed close to the top because it was so hot. 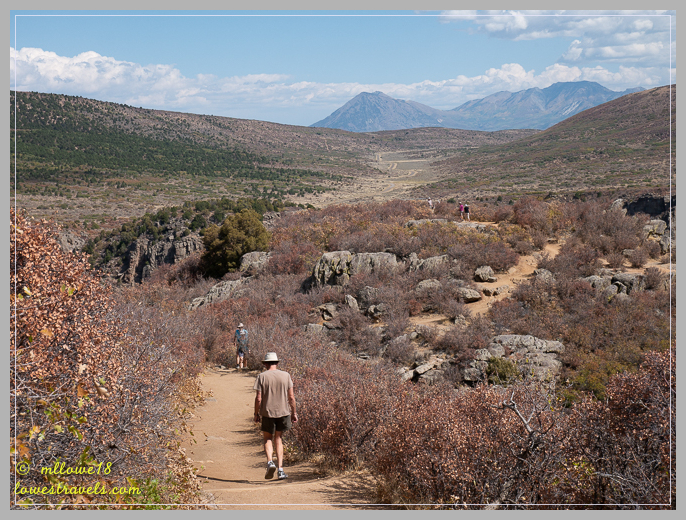 The idea of hiking any strenuous trails was a bit much, but we’d love to go back when it’s cooler and see more. It’s such a neat place, and you’re right, photos never really convey just how deep the canyon is. It’s something about the lighting there – it’s so difficult to really capture it. 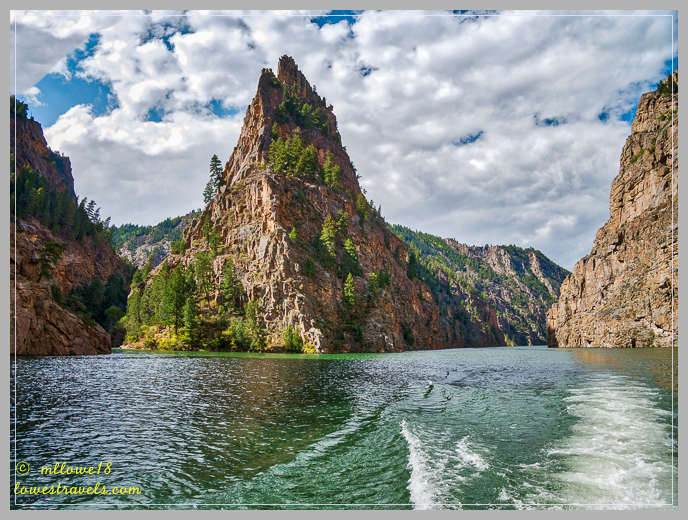 But your photos – especially the ones from the boat (LOVE the one of The Needle from the water) and the vertical one of The Narrows, really show the scale of it all. The boat tour sounds like an absolute must when we return (I didn’t even know about it), but I’m with you on the hiking. If it stops being fun and starts seemingly like someone’s gonna end up in traction, it’s time to turn around. BTW, I keep forgetting to tell you that I really like the new WordPress theme. Mind-blowing scenery that you captured so beautifully MonaLiza! I so wished we had the time to stop and do some hiking in Colorado while heading to the Midwest. Keeping to family schedules has kept us on the move. Your photos will definitely bring us back to the part of Colorado. Thanks! Looks like a lot of beautiful workouts with all that steep up and down! Oh yes we are having so much fun! The leaves changing and cool air always make a hike better. Good idea on turning around. Sliding on pebbles is not good especially with that much downhill. I know, I dont want to stumble or slipped while trying to get a grip on something. I always ask Steve to check ahead and see if I can hike up if I decide to go down. And yes the air is cooler now! Your photos are spectacular! 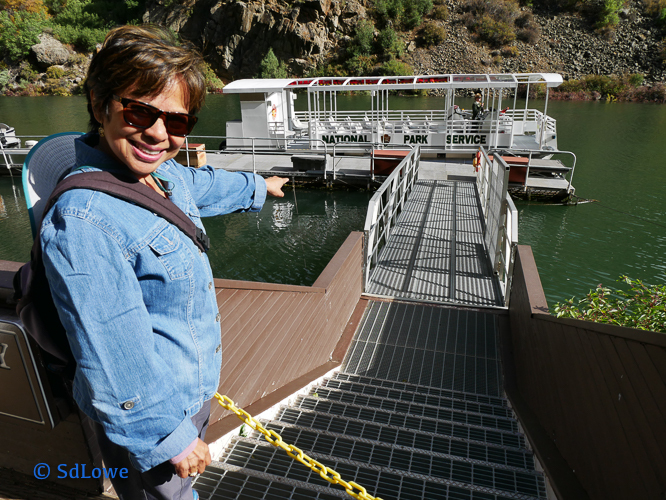 It looks like you had the perfect day for the boat tour—the color of the water against the carved canyon walls is beautiful. Actually, I’ve never seen such colorful photos of the canyon! And we’re with you on hiking—when a hike stops being fun, it’s time to turn around. Thank you Laurel, when the lighting is good, the photos will turn out great. When we can’t see the trail anymore, I usually ask Steve to check for me if I can climb back up. For you know, the going down is easy, it’s the going up that’s difficult. Oh my goodness, beautiful! 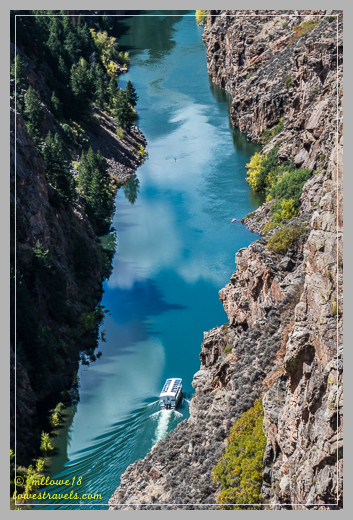 This has been on my radar since moving to Denver and your photos have only made me more excited to go here and definitely take that boat tour! The tour was very informative. And I would suggest to take it in fall, less crowd and cooler temps. Good to know! I was a little worried the water levels would be really low but it doesn’t look like that was a concern either. Thanks for the advice! 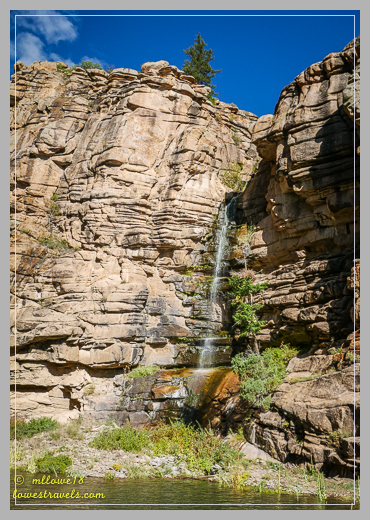 Your pictures are beautiful and truly reflect the beauty of the western slope. This area is one we didn’t get enough of and have been trying to return to. The seasons there are short and timing is everything! Thanks for taking us back and renewing my need to revisit! Thank you Sue, the western slope has captured our interest for future brick and stone home. Wow! 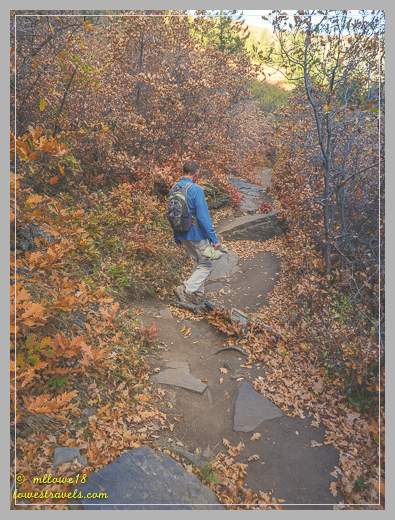 Would love to do those hikes….beautiful pics! 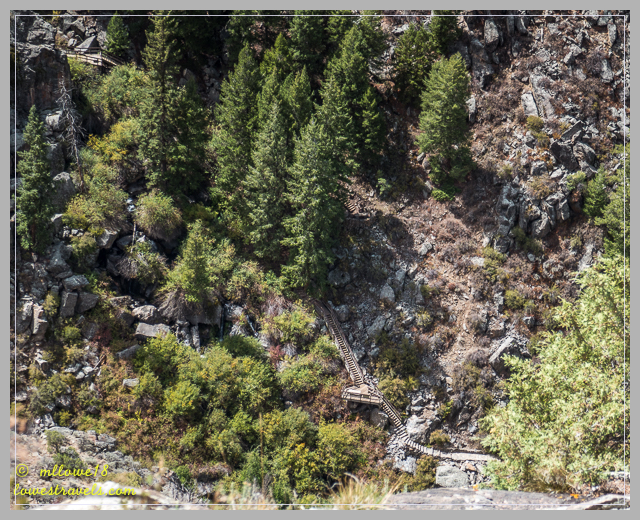 We enjoyed the boat ride, and also the hike down the Curecanti Creek Trail, accessed off 92 from the north. The last half mile was a killer because it was so steep and rocky. We almost turned back but were glad we made it since it was fun to see where the boat tour went from the perspective of being on the shore. You really got some great shots despite that being a difficult place to photograph. Although we were initially disappointed to learn that the boat tour did not go all the way to the Park, still being so close to the river and the canyon was pretty amazing. We have seen the trailhead of Curencanti Creek Trail from the overlook. We looked at it and turned around, it was very steep and you just confirmed it. 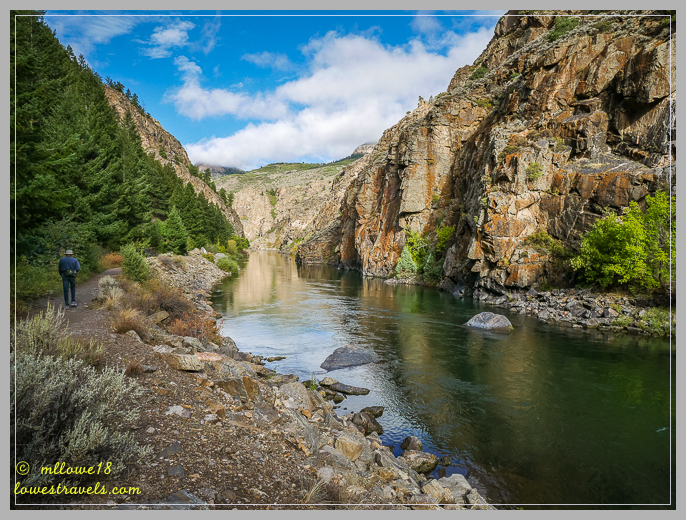 I stopped at Gunnison almost ten years ago and have never forgotten the impact of those chill gray/black walls as they plunged down to the tiny trickle of a river. Great photos! Getting up close to the canyon was pretty amazing indeed. I’ve seen pictures of the Black Canyon before but being there in person was pretty much shocking and it made us very small. Absolutely magnificent! Your photography is so realistic. Great job and the write up helped me feel like I was there – well, almost! Ha ha, I tried to describe and photograph to tell a story. Glad you enjoyed the incredible canyons as much as we did, even just through pictures. Consider visiting it one day. It’s on our bucket list! You’ve done a great job. Have you considered a drone and make a YouTube video? You two have found the most incredible canyons! Your blog came at the perfect time! We just made reservations for that area. We won’t get there til next week so we will probably miss the leaves especially there is rain predicted for this week. But we look forward to seeing all the lovely sites you just posted. Thanks for the beautiful photos and ideas. During our drive in the south rim, we did Warner Point first and worked our way back to the visitor center. I sure hope the weather people are wrong about rain for it will mess up your visit. Be prepared to be amazed, my pictures did not do justice. Twas at Black Canyon myself, and like Ingrid says, it’s incredibly hard to photo because it’s so deep, you can’t get everything in one photo, one photo does no justice to its’ awesomeness. But you’ve managed to convey its’ awesomeness!!! Thank you, Terri, I agree I wanted the canyon in one shot but no can do. We were there early morning, on a gorgeous day, so my camera was a bit happy to have those less harsh. 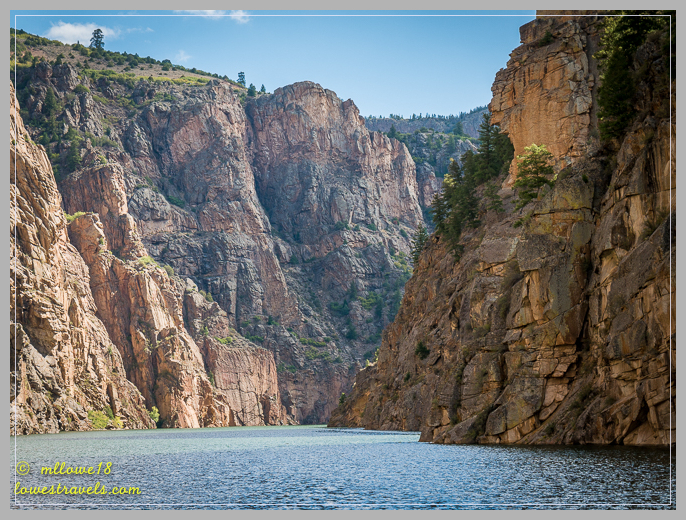 Thank you Ingrid, I was bummed for forgetting my polarizer, but my canyon photos turned out okay. Early morning visit seems to be best, less harsh lighting. I know, I know one day I will be driving a jeep!